the World Intellectual Property Organization (WIPO) Convention. Brazil has structured a legal framework that provides for intellectual property protection in all its most relevant forms (i.e., copyright, trademarks, patents, industrial designs, trade secrets and software). 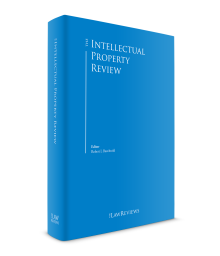 In Brazil, the provisions of trademark, patent, industrial design and unfair competition law are collectively set out in the Brazilian Industrial Property Law (BIPL). Of note regarding copyright and software law are the Brazilian Copyright Law (BCL) and the Brazilian Software Law (BSL), respectively. Copyright and neighbouring rights are governed in Brazil by the BCL, which establishes that the intellectual works that are protected are creations of the mind, whatever their mode of expression or the medium in which they are fixed, tangible or intangible, known or susceptible to invention in the future. The BCL broadly defines literary, artistic and scientific works as being the subject matter of copyright. The BCL guarantees authors’ ‘moral’ rights (e.g., the right to claim authorship of the work at any time, and to keep the work unpublished), as well as ‘economic rights’ (the right of economic exploitation of the work), which include exclusive rights to, among others, reproduce, distribute, adapt, perform and display the work. The economic rights of the author are protected for 70 years from 1 January of the year following his or her death. The ‘moral’ rights involved are inalienable and irrevocable (i.e., they cannot be cannot be transferred, licensed or waived). On the other hand, the Brazilian copyright system presents legal limitations of the author’s exclusive rights. An example of such is the provision of Item VIII, Article 46 of the BCL, which states that it does not constitute violation of copyright to reproduce in any work short extracts from existing works, regardless of their nature, on condition that the reproduction is not in itself the main subject matter of the new work and does not jeopardise the normal use of the work reproduced or unjustifiably prejudice the author’s legitimate interests. Registration is optional for purposes of protection. Assuming that the work is original, it will be afforded copyright protection irrespective of registration. Although not mandatory, copyright registration is still recommended as a way to evidence authorship, especially in light of the Brazilian government’s choice to adopt a first-to-create system of copyright protection. The BIPL establishes that any distinctive, visually perceptible sign may be registered as a trademark, provided it does not fall within the prohibitions set out in the law. The requirement of visual representation excludes from the scope of protection non-traditional trademarks such as olfactory, sound and gustatory marks. On the other hand, the protection of three-dimensional signs has been admitted in Brazil since the enactment of the current BIPL. names, prizes or symbols of sporting, artistic, cultural, social, political, economic or technical official or officially recognised events, as well as imitations likely to cause confusion, save when authorised by the competent authority or entity promoting the event. Trademark protection in Brazil is based on the first-to-file system. The BIPL states that the ownership of a mark is acquired by means of a validly granted registration, following which the title-holder has an established right to exclusive use of the trademark throughout the national territory. Nevertheless, the BIPL also provides protection for the owners of trademarks not yet registered with the Brazilian Patent and Trademark Office (BPTO). One example of this protection is the right of prior use. This right applies to any person who, in good faith, at the date of priority or the filing date of the application, has been using an identical or similar mark for at least six months, in Brazil, to distinguish or certify a product or service that is identical, similar or akin. Such person has a preferential right to registration. Another example is the protection afforded to trademarks that are well known in their field of activity, as per Article 6 bis (1) of the Paris Convention. Well-known trademarks are given special protection, independently of whether they have been previously filed or registered in Brazil. The BPTO has powers to reject ex officio a trademark application that wholly or partially reproduces or imitates a well-known trademark. On the other hand, in the event of the owner of a well-known trademark filing an opposition or an administrative nullity action based on its well-known trademark, it has a period of 60 days commencing with the filing of the opposition or administrative nullity action in which to file an application for the registration in Brazil of its well-known mark. The BIPL also prescribes that signs that imitate or reproduce, wholly or in part, a third-party mark of which the applicant could not be unaware, owing to the commercial activity in which he or she engages, are not registerable as trademarks, if the sign is intended to distinguish a product or service that is identical, similar or akin to that covered by the existing mark and is likely to cause confusion or association with such third-party mark. As a consequence, the BIPL enables the owner of a trademark that has not yet been filed or registered in Brazil to challenge third parties who attempt to register similar or identical trademarks. Similarly to the situation mentioned in the above paragraph, the owner of the trademark has a 60-day term in which to file an application for registration of his or her mark in Brazil, with said period commencing upon the date he or she filed the opposition or administrative nullity action. When applying for registration in Brazil there is no need to claim prior use or to submit proof of use of the trademark. Of note is that multi-class applications are not allowed in Brazil. The trademark registration remains in effect for 10 years commencing with the date of its grant, and may be renewed for equal and successive periods. The BIPL of 1996 establishes two types of patents: patents of invention and utility models. Further to Article 8, an invention is eligible for patent protection if it satisfies the requirements of novelty, inventive step and industrial application. An invention will meet the novelty requirement if it is not part of the state of the art. The state of the art consists of everything that became known or accessible to the public prior to the filing date of the patent application, by use or by any other means, in Brazil or abroad, with a few exceptions provided by the BIPL. In addition, an invention is endowed with inventive step if, for a person skilled in the art, the invention does not derive in an evident or obvious manner from the state of the art. Lastly, an invention is capable of industrial application if it can be used or produced in any kind of industry. An object of practical use or any part thereof is patentable as a utility model, provided it is capable of industrial application, presents a new form or arrangement and involves an inventive act that results in functional improvement in its use or manufacture. The requirement of inventive step in utility models requires a lesser degree of inventiveness. The term of protection of patents of invention is 20 years and of utility models 15 years, commencing with the filing date of the respective application before the BPTO. The law prescribes, however, that the term will not be less than 10 years for a patent of invention and seven years for a utility model, commencing with the date of granting, save where the BPTO is prevented from carrying out the substantive examination of the application owing to a duly evidenced judicial dispute or for reasons of force majeure. all or part of living beings, save for transgenic microorganisms that satisfy the three requirements of patentability and that are not mere discoveries. According to the BIPL, a person who, in good faith, prior to the filing or priority date of an application, was using the object of the patent application, is allowed to continue the use, without onus, in the same manner and under the same conditions as before. A patent confers on its title-holder the right to prevent third parties from, without his or her consent, producing, using, offering for sale, selling or importing a product that is the object of the patent, and a process or a product directly obtained by a patented process. Finally, the BIPL authorises the patent applicant or title-holder to request a certificate of addition in order to protect an improvement or development introduced into the claimed invention that is the subject of a patent application or a granted patent, provided the same requirements for inventiveness are satisfied. An industrial design is an ornamental plastic form of an object or an ornamental arrangement of lines and colours, which may be applied to a product, providing a new and original visual result in its external configuration, and that may serve as a model for industrial manufacture. The industrial design is considered new when it is not included in the state of the art. The state of the art consists of everything made available to the public prior to the filing date of the application, in Brazil or abroad, by use or by any other means, with a few exceptions provided by the BIPL. The industrial design is considered to be original when it results in a distinctive visual configuration, in relation to other prior objects. The original visual result may be derived from the combination of known elements. An application for an industrial design registration must refer to a single object. Multiple designs, however, are admitted under the BIPL. An application may include a plurality of variations provided that they are destined for the same purpose and retain the same predominant distinctive characteristic. Creations of purely artistic character are not considered industrial designs. Furthermore, the necessary common or ordinary shape of an object or shapes, essentially determined by technical or functional considerations, cannot be registered as industrial designs. Similarly to patents of invention and utility models, prior rights to users in good faith are also granted in connection with industrial designs. The term of registration of an industrial design is 10 years from the filing date of the application, extendable for three successive periods of five years each. The nature of trade secret protection in Brazil differs from the protection of trademarks and patents. Whereas owners of trademarks or patents have a property right, the owner of a trade secret has a right against acts of unfair competition. Trade secrets include confidential information related to business or administrative strategies, data submitted as part of an application for approval for the sale of certain types of products, and industrial and technological information. To prove violation of a trade secret it is necessary to assert that the alleged infringing conduct is exactly that described in the statute, particularly in the BIPL of 1996. The Brazilian Criminal Code also provides penalties for undue disclosure of a trade secret, and Brazilian employment law entitles employers to dismiss employees for ‘just cause’ (i.e., without compensation) if said employees expose trade secrets. A trade secret remains enforceable for as long as the information remains secret. The BSL states that the protection system for software is the same as that granted to literary works by the copyright statute. Nonetheless, this provision does not preclude a computer program from patent or trade secret protection. Software is protected for a term of 50 years as from 1 January of the year following its publication or creation. As with any copyright work, software rights arise from creation regardless of registration, although registration is advisable. The regimes described above are the foundation of Brazil’s intellectual property regime. Perceived gaps in the availability of protection for certain creations of the human endeavour have given rise to specific legislation. For instance, Brazil has enacted a law that provides for the protection of intellectual property of integrated circuits (Law No. 11.484/2007), and a Plant Variety Protection Law (Law No. 9.456/1997). Trade dress can also be protected in Brazil under the unfair competition provisions of the BIPL. In order to regulate the exclusivities related to intellectual property rights, the Brazilian government created certain administrative bodies. Of particular note related to the pharmaceuticals industry is the National Health Surveillance Agency (ANVISA), the agency that regulates, controls, and inspects products and services that involve public health. ANVISA issues marketing authorisations for the sale of drugs in Brazil. Additionally, ANVISA is responsible for the examination of pharmaceutical patent applications, along with the BPTO, with regard to safeguarding human health. the patent examination has not yet started. From the publication of the admission of the patent application subject to the summary proceeding, the grant of such application will be published within 90 days. The application that received third parties’ ESD, even after having been admitted to the summary proceeding, will be excluded from it and will follow the regular examination process. After the publication of the admission on the summary proceeding, the applicant has 90 days to file an opt-out petition. The patent application submitted to the summary proceeding will be granted in the same terms it was published or notified when it entered the national phase (i.e., no amendments to the original documents will be accepted. The letters patent shall indicate the particulars of Articles 10 and 18 of the Brazilian Industrial Property Law, emphasising the subject matters excluded from patentability. The BPTO’s public consultation received comments and contributions from a broad range of professionals, which are being analysed by the BPTO before an eventual enactment of the decree establishing this special procedure. The Patent Prosecution Highway (PPH) is a project in which a patent application with claims that have been determined to be patentable in the Office of First Filing is eligible to go through a fast-track examination in the Office of Second Filing with a simple procedure upon the applicant’s request. The President of the BPTO, Mr Luiz Otávio Pimentel, and the President of the European Patent Office, Mr Benoît Battistelli, signed on 4 October 2017, during the World Intellectual Property Organization General Assembly in Geneva, Switzerland, an agreement to formalise a pilot project for a PPH between Brazil and the EPO. Through the PPH, Brazilian patent applicants will be able to use the examination results of their patent applications in the BPTO to request an expedite analysis of their pending applications before the EPO and, in the same way, EPO applicants will be able to use the examination results of their patent applications in order to expedite the analysis in Brazil. During the pilot phase, which started on 1 December 2017 and will run for a period of two years, a maximum of 300 patent applications per year will be accepted via PPH. In the pilot PPH, the BPTO and EPO will only accept patent applications related to chemical or technologies applied to medical science, except medicaments. Besides the agreement with the EPO, the BPTO already has PPH pilot programmes with the United States, from 11 January 2016, and recently extended to 1 May 2018; Japan, from 1 April 2017 to 31 March 2019; member countries of PROSUR (cooperation among Intellectual Property Offices in South America), from 1 July 2017 to 31 June 2018; and the Chinese Intellectual Property Office (SIPO), from 1 February 2018 for two years. On 13 November 2017, the BPTO’s president, together with the president of the SIPO, Mr Shen Changyu, signed a cooperation agreement that establishes, among other activities, the training of staff, including examiners; dissemination of information about intellectual property to the general public, including educational material; sharing of information, including statistics; and exchanging of experience on the examination and management of applications. The BPTO’s president highlighted that China is an important commercial partner of Brazil, and that the agreement signed between the BPTO and the SIPO will contribute to the development of the IP systems of both countries. During the same meeting, besides the cooperation agreement, it was also signed by the parties an agreement to formalise the PPH programme between the BPTO and the SIPO. As it is the case with the other PPH programmes that the BPTO is a part of, Brazilian patent applicants will be able to use the examination results of their patent applications issued by the BPTO to request an expedite analysis of their pending applications before the SIPO and, likewise, Chinese applicants will be able to use the examination results of their patent applications issued by the SIPO in order to expedite the analysis in Brazil. The pilot phase, which started on 1 February 2018 and will run until 31 January 2020, contemplates up to 200 patent applications, and, while the BPTO will only accept patent applications related to information technology, packaging, measurement and chemical, the SIPO will accept requests for the prioritisation of examination under the PPH in all fields. Decree No. 9,283, which was published in the Official Gazette of 7 February 2018, establishes measures to encourage innovation and scientific and technological research, and regulates the Brazilian Innovation Law (Law No. 10,973 of 2 December 2004). According to the Decree, entities of the government may encourage the development of cooperation projects among companies, scientific, technological and innovative institutions and non-profit private entities, focusing on the generation of innovative products, processes and services, besides the transferring and dissemination of technology. The parties shall, however, in these cases, have a specific contract establishing the ownership of the IP rights over the new work and the profits that result from the commercial exploitation of such creation. The agreement involving made-to-order technology may also include rules regarding the assignment of IP rights, and the licensing and transferring of the technology. The law also prescribes that public scientific, technologic and innovative institutions shall share an annual report with the Ministry of Science, Technology, Innovation and Communications containing information about, among other subjects, their policy on IP, the creations developed, the protections applied for and granted, and technology licensing and transferring contracts. The BPTO’s president stated that Decree No. 9,283 strengthens Brazilian innovation by requesting the definition of IP rights in contracts related to partnerships of research and development, and to made-to-order technologies. The BIPL establishes two types of patents: patents of invention and utility models. To be patentable, an invention must satisfy the following criteria: novelty, inventive step and capability for industrial application. An object of practical use or any part thereof is patentable as a utility model, provided it is capable of industrial application, presents a new form or arrangement, and involves an inventive act that results in functional improvement in its use or manufacture. An invention will meet the novelty requirement if it is not part of the state of the art. The state of the art consists of everything that became known or accessible to the public prior to the filing date of the patent application, by use or by any other means, in Brazil or abroad, with a few exceptions provided by the BIPL. An invention is considered obvious in view of prior art when it is considered that a person skilled in the art would naturally reach the solution proposed in the invention. The basic criteria involves identifying the nature of the problem for which a solution is sought, analysing the solution proposed by the invention in question and determining whether said solution is reached by way of a new or unexpected technical effect. Examples of aspects to be considered include the type of problems encountered in the art, the prior art solutions to these problems, the movement of persons skilled in the art in a different direction from that taken by the inventor, the new technical effect that can be achieved by the invention and commercial success. The disclosure of an invention will not be considered to be state of the art if it occurred during the 12 months prior to the date of filing or of priority of the patent application, if made by the inventor; by the BPTO, by means of official publication of the patent application filed without the consent of the inventor, based on information obtained from him or her or as a results of his or her actions; or by third parties, based on information obtained directly or indirectly from the inventor or as a result of his or her actions. The BIPL provides that infringement of trademark, design, patent and geographical indication rights and acts of unfair competition constitute both a civil wrong (tort) and a crime. Hence, the injured party is entitled to rely on both civil and criminal measures in order to enforce its rights. In addition, it is possible to file nullity actions against trademark, design or patent registrations or against administrative acts that annul trademark, design or patent registrations. Border control mechanisms also feature as part of the Brazilian system of enforcement of IP rights. Federal Decree No. 6759 of 5 February 2009 includes authorisation for the customs authority to seize any products that it considers to bear altered or imitated marks. Furthermore, a trademark owner who has sufficient evidence of the planned import or export of counterfeit goods may request (setting out the facts or circumstances that give rise to suspicion) the seizure of such goods by the customs authority. Infringement actions must be filed before state courts, as the BPTO does not participate in such proceedings, whereas the nullity actions are heard by federal courts. This is because the BPTO is automatically a party to all nullity actions, and whenever a government agency is a party to a lawsuit, the action must be filed before federal courts. The entry level (first instance) of the Federal Court of Rio de Janeiro has four courts specialising in intellectual property. At the appeal level, the Regional Federal Court of the Second Region, with jurisdiction over the states of Rio de Janeiro and Espirito Santo, has two specialist panels for intellectual property. As for the civil proceedings, the injured party may file a lawsuit seeking the cessation of the infringing act, coupled with a claim for damages. The lawsuit may also include an ex parte preliminary injunction request, with a view to immediate cessation of the harmful conduct until a decision on the merits is rendered, subject to specific requirements of the Civil Procedure Code (CPC). In order to obtain a preliminary injunction, the plaintiff must demonstrate a prima facie good case (i.e., that there is a likelihood of success on the merits of the case, and that delay in granting the relief sought would be likely to give rise to harm that is irreparable or very difficult to redress). A criminal action requires the filing of a criminal complaint, save in the case of the crime against armorial bearings, crests or official public distinctions, be they national, foreign or international, in which case the criminal action will be public (i.e., commenced by the public prosecution service). In terms of criminal proceedings, one very important provision is the possibility of filing a preliminary criminal search and seizure action, aimed at gathering evidence of acts of infringement and avoiding the destruction or hiding of evidence by the infringer. Pursuing a preliminary criminal search and seizure action is normally more straightforward than undergoing the more complicated civil proceeding of early production of evidence. Given that it is possible to rely both in civil and criminal proceedings on the evidence obtained under search and seizure warrant, an application for preliminary criminal search and seizure is frequently a useful starting point for civil infringement proceedings as well as for criminal proceedings per se. The CPC states that the plaintiff may draw on all legal and morally legitimate means of proving the existence of the rights asserted. It makes specific reference to ‘personal deposition’ (the giving or oral evidence by the person or persons asserting the rights); the exhibition of documents or other material; witness testimony; expert evidence and court inspections. In addition, the CPC permits the court to direct early production of evidence. A party is therefore entitled to make an application for the production of expert evidence prior to the filing of the substantive lawsuit (or, post-filing, at an early stage of the proceedings). The plaintiff must demonstrate solid reasons for the application, for example, that there are reasonable grounds for fearing that, in the absence of an order for early production, the evidence in question may be lost or destroyed. Discovery, in the form that exists in common law systems as a pretrial phase in a lawsuit, is not provided for in the Brazilian legal system. Infringement and nullity actions are heard by a single judge in the first instance. The appeal courts (second instance) consist of panels of three judges. Experts can be appointed by the judge to assist with any technical issues involved in the case. Once the initial complaint is filed, the defendant is notified to present his or her response within 15 days. The plaintiff may respond to the defendant’s answer within 10 days. There are usually two hearings at first instance: a conciliatory or preliminary hearing, in which the parties try to settle the case amicably; and an evidentiary hearing, in which the expert and the parties’ technical assistants may be cross-examined as to their findings, in the event of a dispute between them (the relevant questions having been filed and responded to in writing prior to the hearing – the scope of the cross-examination being issues that remain in dispute); depositions are taken from the parties and the witnesses listed are heard. It is important to note that this second hearing occurs only in cases where there is a need for evidence to be produced. At the close of the hearing, the judge may immediately make a final order (final decision of the first instance) or may direct that the parties submit final briefs. In the latter case, the judge will make the final order following the submission of the briefs and its consideration. It is possible to file an appeal against this order to a state court of appeal. The final order on appeal of the state court of appeal may be challenged, provided certain legal requirements are met, by a further appeal, known as a ‘special’ appeal, to the Superior Court of Justice, or an ‘extraordinary’ appeal to the Federal Supreme Court. A final decision on infringement and nullity actions may take between one and two years at first instance. A final decision on second instance may take up to two years. These time frames will vary according to the complexity of the case, and the state and court in which the lawsuit is filed. Preliminary injunctions may be granted immediately, provided the legal requirements are met. Patent infringement can be literal or by equivalence. According to Article 41 of the BIPL, the scope of the protection conferred by the patent shall be determined by the content of the claims, and interpreted on the basis of the specifications and drawings. Article 42 of the BIPL states that a patent confers on its title-holder the right to prevent a third party from, without his or her consent, producing, using, offering for sale, selling or importing a product that is the object of the patent, and a process or a product directly obtained by a patented process. The title-holder is further assured the right to prevent third parties from contributing to the perpetration by others of the acts described above. In a civil infringement action, the defendant in its reply may assert facts that impede, modify or terminate the plaintiff’s right. In addition to its reply, the defendant may also file a counterclaim against the plaintiff, if the legal prerequisites are duly met. In relation to criminal actions, an allegation of nullity of the registration on which the action is based may be relied upon as a defence. Acquittal of the defendant, however, will not automatically lead to nullity of the registration, which can only be requested in an action before the competent courts. The most common defences to patent infringement are patent invalidity (e.g., lack of novelty, or part of the state of art) and non-infringement. use, in good faith, of the object of the patent prior to the priority or filing date of the patent application. A final decision on infringement and nullity actions may take between one and two years at first instance. A final decision at second instance may take up to two years. These time frames will vary according to the complexity of the case, and the state and court in which the lawsuit is filed. Preliminary injunctions may be granted immediately, provided the legal requirements are met. Civil remedies include: an order for the immediate cessation of the infringing act and damages. The lawsuit may also include an ex parte preliminary injunction request, with a view to immediate cessation of the harmful conduct until a decision on the merits is rendered, subject to specific requirements of the CPC. In order to obtain a preliminary injunction, the plaintiff must demonstrate a prima facie good case (i.e., that there is a likelihood of success on the merits of the case, and that delay in granting the relief sought would be likely to give rise to harm that is irreparable or very difficult to redress). The plaintiff may also seek the imposition of a daily penalty for failure to abide by the preliminary injunction. If the interim relief sought is granted, the defendant will be restrained from practising the infringing act pending a final and definitive ruling on the substantive lawsuit. In some circumstances, a court will only grant interim injunctive relief if the petitioner posts a bond or a fiduciary guarantee to cover any losses incurred by the respondent. In relation to the quantum of damages payable for infringement, the BIPL applies a triple criteria calculation, so that damages are fixed on the basis of the criterion that is the most beneficial to the injured party, chosen from the following list: the benefit that the injured party would have obtained if the violation had not occurred; the benefit actually obtained by the author of the violation of the rights; or the remuneration that the author of the violation would have paid to the proprietor for a licence for use of the protected rights. Criminal remedies include: preliminary criminal search and seizure measures, imprisonment of the infringer and fines. The BIPL also establishes that anyone who manufactures a product that is the subject matter of a patent of invention or of a utility model patent without authorisation from the owner, or uses a means or process that is the subject matter of a patent of invention without authorisation from the owner, shall be subject to imprisonment for a period of three months to one year, or a fine. Additionally, the BIPL establishes that anyone caught exporting, selling, displaying or offering for sale, keeping in stock, concealing or receiving to use for economic purposes a product that is manufactured infringing a patent of invention or an utility model patent, or that is obtained by a patented means or process; or caught importing a product that is the subject matter of a patent of invention or a utility model patent, or obtained by a means or process that is patented in Brazil, to use for an economic purpose, which has neither been placed on the foreign market directly nor with the consent of the patent owner, is subject to imprisonment for a period of one to three months, or a fine. The same penalty applies to anyone caught supplying the component of a patented product or material or equipment with which to carry out a patented process, provided that the final application of the component, material or equipment of necessity leads to the use of the subject matter of the patent. The CPC sets out various avenues of appeal, to which parties may resort. There are both appeals on the merits (substantive issue) of a case and appeals on procedural grounds or relating to questions other than the substantive issue. The possible forms of appeal include motions based on conflicting case law, motions for clarification of the ruling and appeals based on internal court rules. The final decision of the first instance court, for example, may be challenged on appeal before the state court of appeal. From the appeal court, a further appeal is possible on issues pertaining to federal law, to the Superior Court of Justice or, in the event of a constitutional issue arising, to the Federal Supreme Court. The appeal courts consist of panels of three judges. A final decision on second instance may take up to two years. This time frame will vary according to the complexity of the case, and to the court and panels handling the matter. Appeals to the Superior Court of Justice or to the Federal Supreme Court are estimated to take between two and four years to be analysed and have decisions issued. The BIPL does not have any provision related to ADR. Arbitration proceedings are governed by the Arbitration Law. Although arbitration is not commonly used in trademark and patent infringement cases, the parties may agree to arbitration instead of resorting to the courts. Among the possible benefits of using arbitration are the comparative speed of proceedings and their confidentiality. The Brazilian PTO issued, on 11 April 2017, the Normative Instruction No. 70, which came into effect on 1 July 2017. This document brings changes to the administrative proceedings involving the recording of licensing and assignment agreements involving IP rights with the BPTO, and of the registration, before the BPTO, of technology transfer and franchise agreements, substantially reducing the scope of analysis of such agreements by the BPTO. According to this new Normative Instruction, the BPTO no longer evaluates whether the mentioned agreements are in accordance with local rules regarding tax deductibility and remittance of payments abroad. It is important to highlight, however, that the enactment of Normative Instruction No. 70 does not mean that the agreements will no longer be analysed in respect to the tax deductibility and remittance of payments abroad rules, but rather that such analysis will be performed by the competent authorities (i.e., the Brazilian IRS and the Brazilian Central Bank). Additionally, it is expressly stated that registration certificates will reflect the ‘declared contract amount’ and the ‘declared payment format’, preventing interference of the BPTO on the financial conditions set forth by the parties on the contracts. Even though these changes are most welcome and will expedite the registration procedure of agreements with the BPTO, it is still soon to assess its effects in practice. On 2 January 2018, the BPTO published the Resolution No. 208/2017, adopting the New Guidelines for the Examination of Patent Applications relating to chemical inventions. The new guidelines represent a consolidation of BPTO’s practice in the chemical and pharma fields, notably in connection in how a compound shall be claimed; determination of specific rules on how applications comprising second medical-use claims in in vivo tests must be disclosed in the specification for compliance with enablement requirement; and definition on how polymorph applications must be drafted in order to be sufficiently described. During a meeting at the World Intellectual Property Organization office in Rio de Janeiro, on 24 October 2017, the representatives of the Brazilian PTO, including the President of the Institute, presented a project to adapt the structure of the BPTO in view of a possible accession to the Madrid Protocol. Such project prescribes that, should the operational needs of the Institute be met, the period of examination of a trademark application will be reduced from the current 25 months to the 18 months required by the Protocol. Hence, Brazil would be able to accept international trademark applications through the Madrid System by 2019.